If you want to have a break this autumn season, why not spend a wonderful golf escapade at Thousand Hills Golf Resort in Branson. 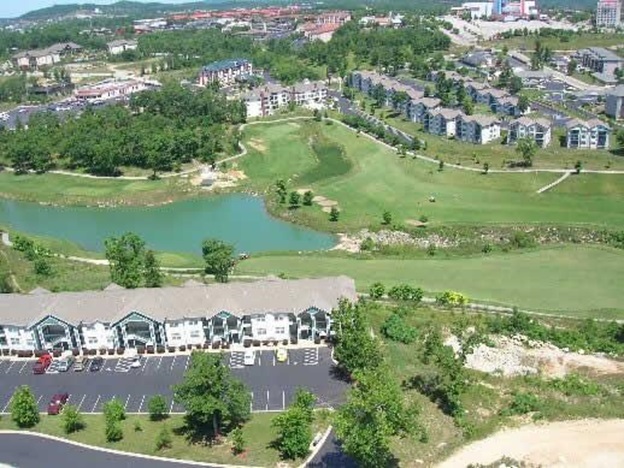 As home to one of the most popular golf courses in Branson, the resort is also known to provide golfers great accommodations near the course with spectacular views of the beautiful landscape around the area near the pristine lake. This award-winning 18-hole golf course at Thousand Hills is played by thousands of professional golfers each season. This famous golf course is equipped with challenging tees and fairways. Strategic bunkering throughout the golf course not only adds aesthetic value but also to the overall fun experience and excitement of playing golf. Autumn season is a great time to play golf as you will get the opportunity to enjoy seeing beautiful changing of colors of the autumn leaves from luscious green to vibrant red, yellow and orange colors of the spectacular landscape of the Ozark Mountain. While many people know that Branson is known for its world-class live entertainment shows, exciting attractions and pristine lakes, this is also a place where you can find many other golf courses in this small town of Southwest Missouri. Golf courses in Branson not only give appeal to experienced golfers but also to neophyte golfers where they can have the chance to learn strokes from seasoned golfers who often come here to play. In addition to the popular 18-hole golf course at the resort, golfers can also enjoy a fascinating golf escapade at some of Branson’s golf clubs that include Murder Rock Golf Club, Payne Stewart Golf Club, Branson Creek Golf Club, and Ledgetone Golf Club. Beautifully located south of Branson, Murder Rock Golf Club meanders through wooded hills and valleys of the Ozarks making it one of the most challenging golf courses in the area. This par-71 golf course is rated as one of the top five courses in Missouri. Payne Stewart Golf Club is another golf club in Branson which is ranked No. 1 in Missouri by Golfweek Magazine in 2012. This beautiful golf course honors Payne Stewart, the famous golfer from Springfield, Missouri. Each hole of the course is interwoven with the life story and golfing experiences throughout the career of Stewart. PGA professional Chuck Smith and design consultant Bobby Clampett designed this beautiful golf course. Branson Creek Golf Club is a parkland style course beautifully designed by Tom Fazio. This golf club features numerous changes in elevation and considered as one of the region’s top golf courses. It is named continuously for 11 years by the Golf Magazine as the Top Public Golf Course in Missouri. Ledgetone Golf Club is another golf club in Branson designed by Tim Clark. This upscale golf course is described by Golf Digest as a “masterpiece of mountain golf architecture”. So, if you want to take a break and have a golf escapade in Branson, play at some golf courses in Branson that meander through colorful hills and valleys of the Ozarks.